Sales motivation tends to dip during summer months. When the weather starts to cool off, however, you can heat things up for your revenue stream. We know that sales motivation doesn’t only come from commissions or dreams of the President’s Club. Get your team operating on high gear this fall with a contest or quick spiff. You can use it to motivate specific sales activity like making phone calls or cleaning up CRM data. Keep things simple by offering an incentive that sales reps want to work for, but that doesn’t break the budget. Here are 30 affordable incentive ideas to inspire sales motivation this autumn. Ready for even more sales motivation? 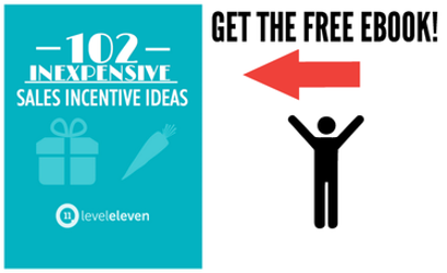 Check out our most popular eBook, packed with inexpensive sales incentive ideas. This autumn, keep things simple by driving sales motivation with incentives that sales reps want to work for, but that doesn’t break the budget.